Despite failure of metal detector to alert officers, stabbing attack thwarted in Hevron. 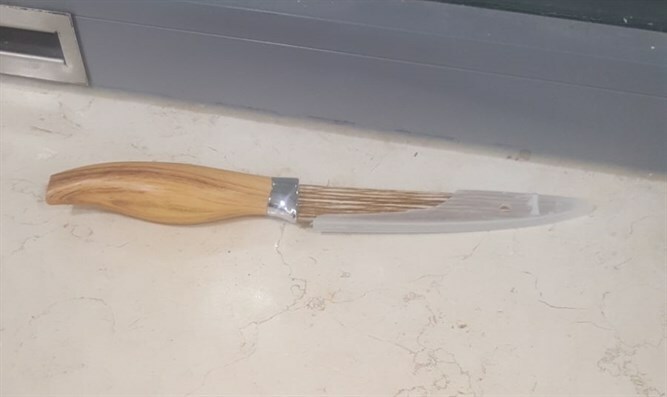 Border Police officers arrested a man attempting to sneak a knife into the Tomb of the Patriarchs in Hevron Monday. An Arab man in his 30s, a resident of the town of Dura in Judea, arrived Monday at one of the inspection posts at the entrance to the Tomb of the Patriarchs in Hevron, and was asked by Border Police officers to pass through a metal detector. While The metal detector did not indicate that the suspect was carrying a metal object on his person, the suspect’s behavior drew the attention of officers at the scene. After ordering him to submit to a search, officers found a knife concealed under his clothes. An initial investigation revealed that the Arab had planned to commit a stabbing attack at the holy site. The suspect was arrested and transferred for questioning. Pray for the peace of Jerusalem; may they prosper that love thee.